What are the 4 Types of Adoption in Florida? A court presiding over any Florida Adoption must receive proof that facts exist to terminate the biological relationship forever. A biological parent may properly execute a consent for adoption and surrender his/her rights to their child. 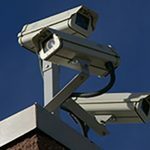 Alternatively, a court must hear proof that the parent has abused, abandoned or neglected the child or otherwise failed to protect their parental rights under Florida law. The adult adoption is an exception to this rule. The consent of the biological and legal parents are not required to complete such an adoption, however, the petitioner must provide notice to the biological or legal parents. A consent for adoption is only valid and legal if the specific requirements of Florida Law have been followed. An attorney can help you get all of the paperwork properly filled out and turned in timely. After a court issues a judgment terminating the biological parent-child relationship, the time frame for completing the adoption differs. In the case of an entity adoption, the adoptive parents are not eligible to finalize their adoption until 30 days after the judgment terminating parental rights or 90 days after placement of the child in their home, whichever situation is later. In the step-parent, close relative and adult adoption, the adoptive parents are eligible to immediately finalize their adoption. Also, in stepparent and close relative adoptions, the adopting parents have the option of proceeding in a unified legal process in which the order finalizing the adoption also simultaneously terminates parental rights. A unified proceeding is typical for adult adoptions. When pursuing the entity adoption, prospective adoptive parents must decide whether to pursue their adoption through an agency or an attorney, known as an intermediary. Step-parent adoptions are common when one biological parent is willing to give up their parental rights to that step-parent. After adoption, the step-parent has all rights and responsibilities of the biological parent. In step-parent adoptions, as with all other adoptions, if the child is twelve years of age or older, he or she must give their consent to the adoption and must be interviewed prior to signing the consent. 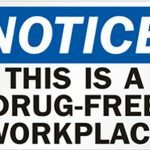 Drug-Free Workplace Policy and Procedure Development Can Property Owners be Sued for Inadequate Security?